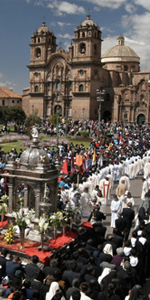 The Corpus Christi Festival is Cusco’s most important religious procession. 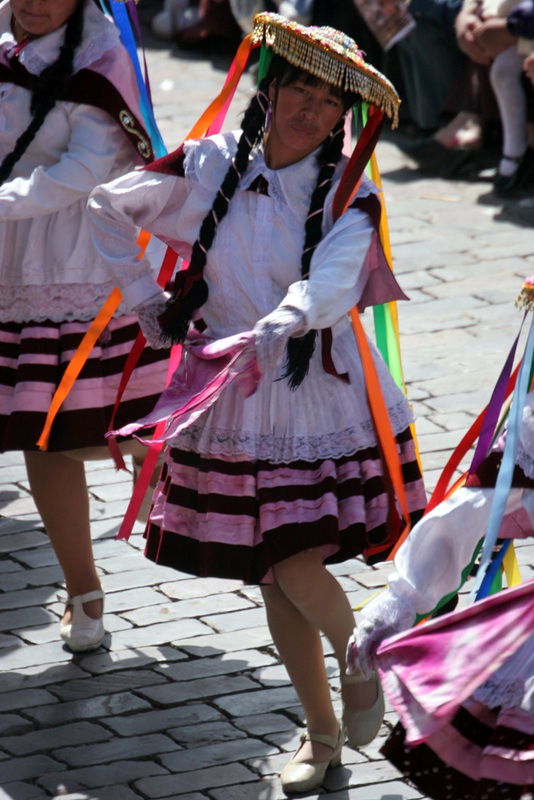 The oldest religious festival in the Americas, it is a majestic display of vibrant costumes and passionate ritual. 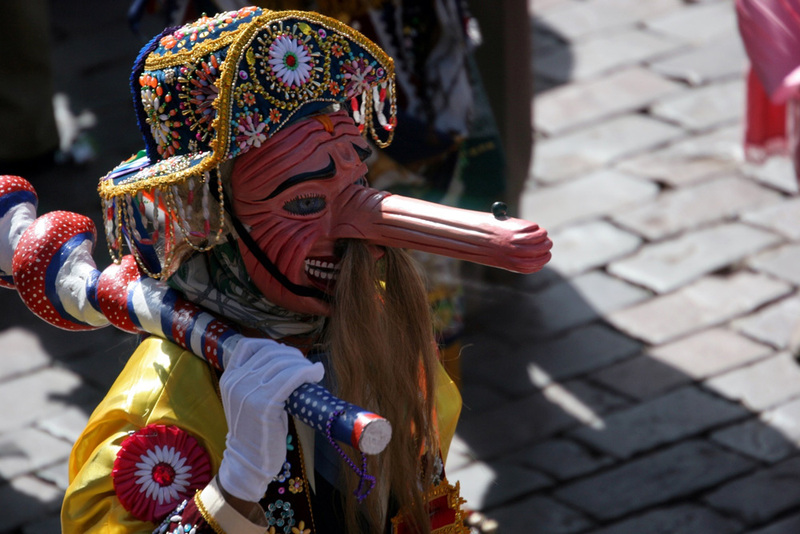 Read more about Peru’s most important festival and events. 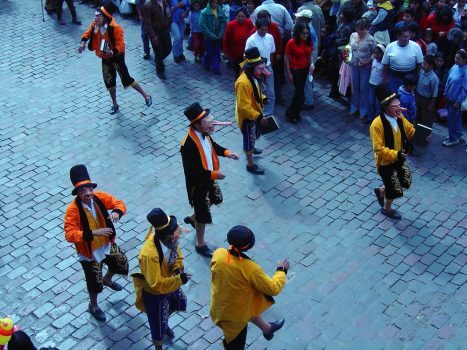 During this colorful and lively celebration, “Cuzequeñans” of all social and economic groups and classes flood the streets, carrying flowers and other offerings in their hands. 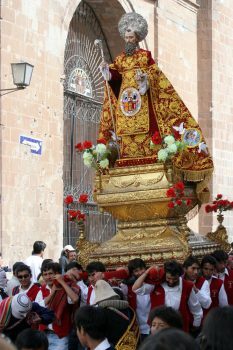 Central to the celebration are the 15 adorned statues representing saints and religious figures perched atop litters for all to see. 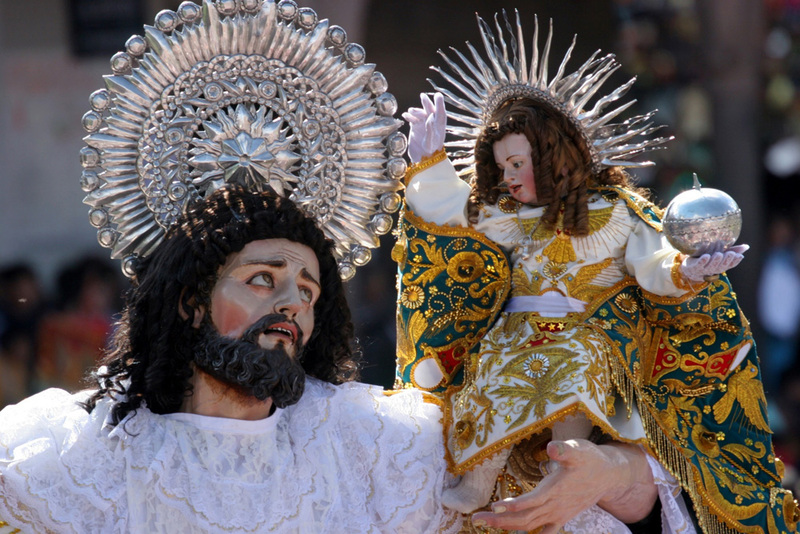 Members of each parish, from which the life-size figures are sourced, spend a full year planning the procession and raising funds for the sumptuous attire that embellishes each statue. 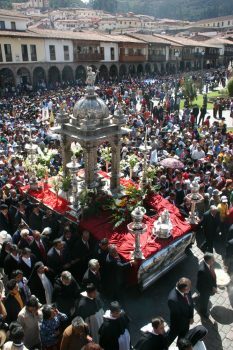 The processions begin at the home Parish church, and with bands, dancers and other faithful members at their side, each litter proceeds to the Main Square, where a statue of Christ awaits and joins them to become a unified, glorious celebration. 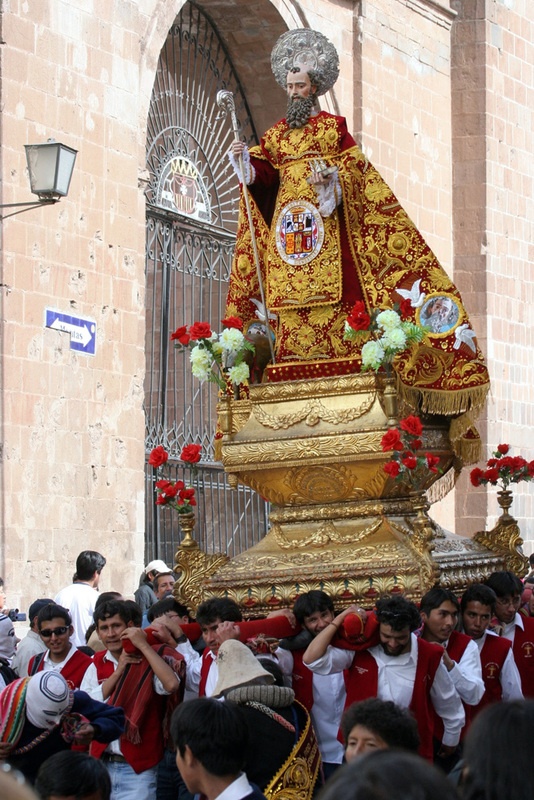 The religious statues remain in the Main Cathedral overnight, and the following day, the paramount celebration begins, with six hours of joyous dancing, music, and feasting perfectly complementing the religious festivities. Though the event is predominantly religious, fancy garb, choreographed dances, and troupes of musicians create a truly cultural experience. And no Peruvian festival is complete without food. 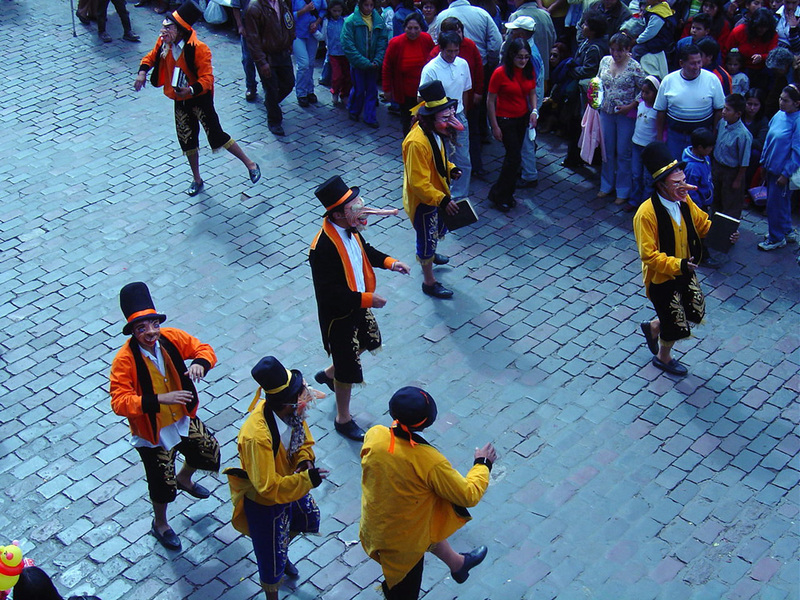 In the evening, everyone enjoys a traditional meal known as Chiriuchu. 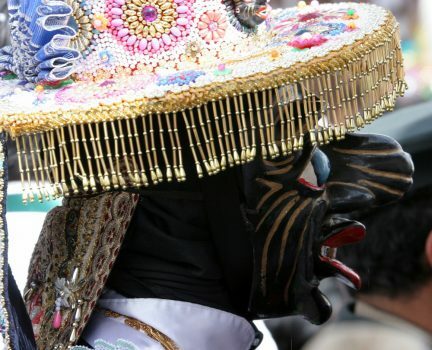 Much how the festival brings together several of the nearby parishes and thousands of people from all over, the signature dish combines elements from different nearby regions. With corn as a base, a variety of meats including chicken, a type of jerky, sausage, and guinea pig are blended with cheese, a type of omelette, seaweed and fish eggs and topped with the spicy rocoto pepper to make a hearty and complex dish in recognition and celebration of the multi-faceted life in and around the area. Following the festivities, the religious figures are kept on display in the Cathedral for a full week, inviting all who want to admire and pay tribute to these glittering statues. A procession leading each back to its respective church marks the end, and the planning for the ensuing year begins! 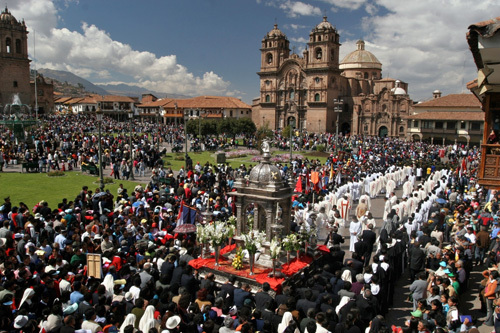 If you’d like to travel to Cusco during Corpus Christi as part of a private, tailormade trip to Peru, contact us or email us on travel@aracari.com for expert travel advice to plan your trip.